As a Finance Manager, I realise the importance of getting your finance approved within a specific time frame, so you can proceed with the exchange and settlement of your new purchase. Whether your purchase is for your own home or an investment property, I understand that obtaining the right loan that suits your circumstances is equally as important as getting the loan ready on time. For the past 23 years, I have focused my finance career around the property market, working in conjunction with experienced real estate businesses and individual agents and combining efforts with your solicitor or conveyancer, I understand the requirements and urgency needed to make your dream purchase or investment property expansion a hassle free experience. I will also provide you with additional knowledge and tips that can assist the ongoing management of your loans, so you can get the most out of your chosen products. I grew up on the Gold Coast and for the past 23 years have been heavily involved in the banking and finance industry, working as a Bank Manager at Westpac, managing a team of personal, home and business finance specialists, customer service is my passion. 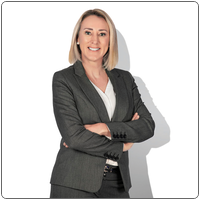 Sue-Ann looks to assist clients, not just to obtain the most suitable lending options and structures, but to also provide you with a personalised service within the complicated home loan and investment market. I operate with a personal commitment to reliability, responsiveness and genuine respect for all of my clients.